Wedding invitations are one of the most essential parts of your wedding planning, because they are the start of your wedding journey. 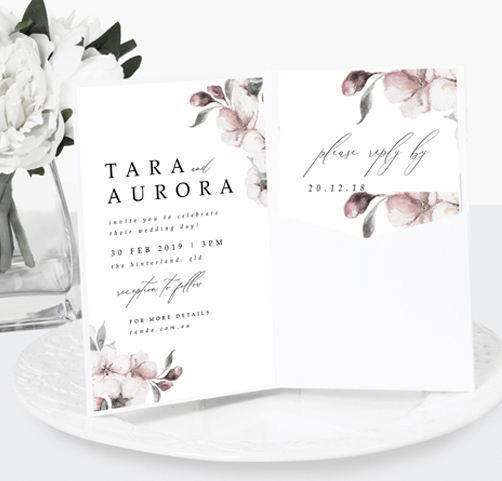 Did you know wedding invitations set the style and tone for the vision of your day, therefore it’s really important that you get them right! 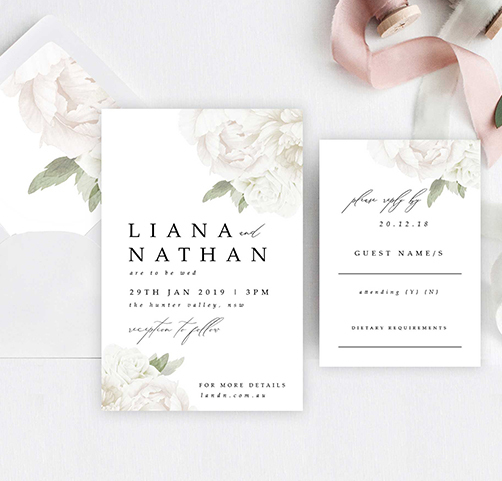 Here are Blue Bird Invitations we are big believers in a wedding invitation suite not only providing a creative impression of your wedding day style, but most importantly, they must also have the ability to deliver integral information about your day! Blue Bird Invitations also offer a full range of bespoke wedding stationery to clients worldwide – from wedding invitations and save the date to day of event stationery – place cards, menus, wedding signage & post event stationery (thank you cards and wedding story books). Our team work along side your wedding planners and event co-ordinators to ensure that all our stationery works in perfectly with your general wedding style, because love seeing your wedding event a whole come to life. Looking for luxury invitations? 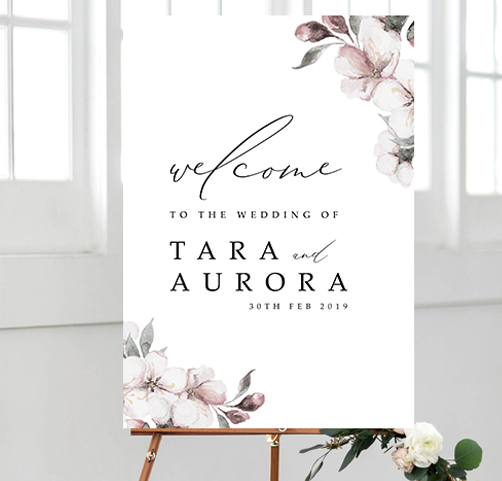 We specialise in offering a full range of luxury finishes to your wedding invitations like letterpress, gold, rose gold and metallic foiling and embossing, handmade paper and acrylic laser etched stationery to give your wedding that wow factor right from the start! Providing creative, trend setting, personalised wedding invitations and wedding stationery is what we live for! We are geniuses at suggesting style and concept options, because weddings are our passion. Furthermore our team will happily takes charge of all of the artistic creativity for you! Please make sure to follow us on social media via the links below. 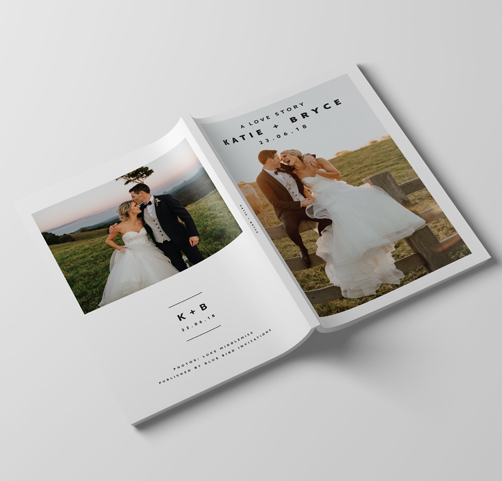 The perfect way to record all the beautiful details from your wedding day in these beautiful coffee table style books! Just wanted to say THANK YOU SO MUCH!! Our invitations are amazing, even better than I could have imagined. I can't wait to send them out. Thank you for all of your patience, it really was appreciated. A massive thank you for the beautiful stationary you created for our wedding on 18.08.2018! You really look the time to listen and understand exactly what we wanted, and you provided stationary that was beyond what we could have envisioned. It all was beautiful, and all worked together wonderfully. Your hard work ensured that we had all the stationary we wanted and exactly how we wanted it. From our initial meeting till the final products you handled all questions, changes and correspondence both professionally and punctually. You were always so accommodating and happy to make as many changes needed to get the perfect outcome. We love what you created for us, and we love the wedding scheme you helped us create. You made the process so easy and even did printed envelopes which made the mailing process a breeze. You are a very talented lady! Tabitha is so lovely to deal with and the invitations she sent us are absolutely gorgeous. We did everything over email and phone from Sydney, it was so easy and straightforward. Can’t wait for her to design our menus and seating details. Very highly recommend! We recently received our wedding invitations from Tabitha and they were extremely well done and exactly what I had hoped for. Tabitha, you are so lovely to work with, I couldn't recommend Blue Bird Invitations highly enough.